ROME – While more than 5,000 pilgrims from El Salvador crowded St. Peter’s Square last Sunday for the long-anticipated canonization of St. Oscar Romero, some of those same attendees now have their sights on another El Salvadoran martyr in hopes that he might be next. Jesuit Father Rutilio Grande, who was a close friend of Romero and known for his bold calls for social transformation, was assassinated three years before Romero. Grande’s death had a profound impact on Romero, leading many to believe it served as a turning point in the now saint’s life and emboldened him to use his voice as a megaphone for the poor and marginalized. 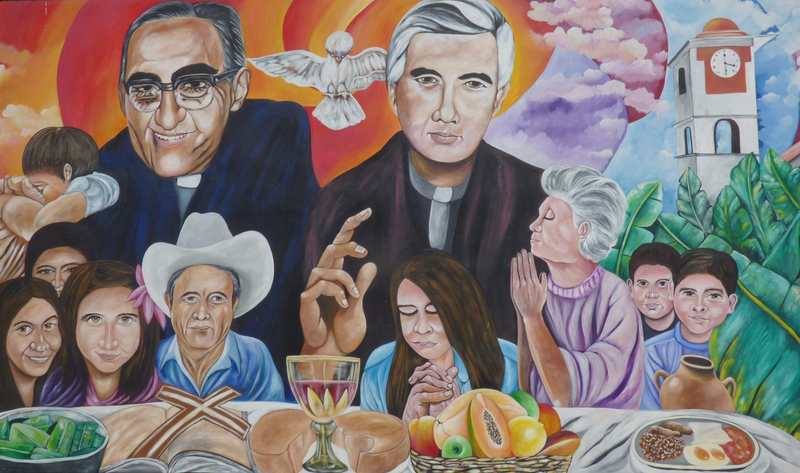 In an interview with The Tablet, veteran Catholic journalist and author of “Rutilio Grande: A Table for All,” Rhina Guidos, describes the vindication many El Salvadorans feel now that Pope Francis has formalized what they knew all along: Archbishop Oscar Romero is, indeed, a saint. Crux: As a native El Salvadoran, what was it like to be in the square and finally see this moment take place? I had emotions I’m still trying to sort out, but I was mostly in awe, watching a great and grand vindication take place of an incredibly holy person so maligned – including by Church hierarchy – survive mountains and reams and decades of lies and not one of them could stick. I cried and I’m still not sure why. He represents our collective sorrows, the injustices against good and innocent people who lost lives, family, limbs, a future, a country we love – and in the end God shows that we can and will emerge triumphant, even when the worst happens to us. I remembered his physical and horrific death. But watching the truth be told on that scale, that Oscar Romero was a man of love and peace, a true prophet, it was physical proof that God was with him and us, El Salvador, all along. It was an incredible joy, layered with pain and hope as El Salvador faces grave challenges: violence, environmental problems and essentially forced migration. His canonization was also the canonization of many Salvadoran martyrs, who will hopefully intercede for our people inside and outside El Salvador. It was also a testament of the incredible work of love of our elders, priests, women and men religious and lay people who kept the truth alive for the rest of us. Although he wasn’t mentioned at the canonization, another figure loomed large: Romero’s friend Father Rutilio Grande. How did he shape Archbishop Romero’s life and thinking? It’s funny that you ask this because we took a photo of Father Rutilio to the canonization and put it on one of the chairs. Some people say that without Rutilio there would be no Romero. I believe St. Romero was already moving in a certain direction but the killing of his friend and his parishioners accelerated that direction, perhaps because of its sheer brutality and blatant disregard for life. If you look at the photos of that killing, it’s horrific and then you have to realize what it must have looked like in real life. If any one of us had a close friend assassinated in the same fashion, we’d be determined to stop it. To me, and I’m sure for other Salvadorans from rural areas, where you see Romero, you see Rutilio because they’re almost cause and effect. But there are different theories. Some say Rutilio “converted” Romero but I think it’s more complicated. Only Romero knows the answer. What is the current status of his cause for canonization? Officially, Father Rutilio’s cause of beatification has been opened but there isn’t anything official being said about its advancement. Unofficially, I keep hearing that it’s heading in a good direction. But for someone so proud to be “lowly” he has friends in high places, mainly the pope, a fellow Jesuit who is said to have told Rutilio’s biographer that Rutilio’s first miracle was Romero. But, Rutilio suffered calumnies as bad as Romero’s but not under the same spotlight because he was a rural priest. Given the current situation on the ground in El Salvador, and the many challenges Salvadorans face living in the U.S. with the Trump administration’s revocation of their Temporary Protect Status (TPS), how important is it that Pope Francis has put the country into the global spotlight? I think it’s important for the world to know of the problems El Salvador faces because they also involve past U.S. policies that caused social ills that have forced migration. However, I don’t think what the pope says will affect what the current administration does. That’s not a political statement, but if you look at what happened with the Paris accord, it’s obvious that personal affection won’t affect the administration’s policies.